Many people don’t know about our stump removal division. We send out 1 man with two stump cutters that can do big or small stumps . We cut the cost to the customer by not sending a “crew” to do our stump only jobs. 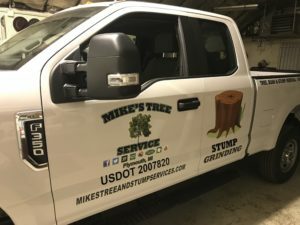 If you have a old tree stump or a bunch of bush stumps give us a call and we can get them out for a better value than any other fully insured company out there.